Yoga class was the last place on earth I would expect to be reminded of Nietzsche’s view of the historical human. Yet there I was, listening to my instructor’s words of wisdom: “Live in the past, you’re always regretting something. Live for the future and you’re full of anxiety. Be here in the present.” Of course this sentiment smacks of late 1960’s Be Here Now counterculture, which is far removed from the iron that is the Nietzschean Übermensch. But I find a connection to what we call the “historical human.” In his Use and Abuse of History, he says “There is a degree of insomnia, of rumination, of the historical sense, through which something living comes to harm and finally perishes, whether it is a person or a people or a culture.” One perishes once the “historical sense” finally takes hold completely. For some, there is only a past that seeks to strangulate the living present. In other words, a memory is not something that you should hold on to, but something that should be discarded and forgotten in order to go about living. Of course Nietzsche was referring to History in a much more universal sense. (If I may use the words “universal” and “Nietzsche” in the same sentence…) Yet one must personalize this statement. After all, Nietzsche is nothing if not life-affirming. Nietzsche tells us to say Yes to life. One can easily see how quickly the Overman’s horizon begins to broaden. But at the very beginning of class today, my teacher put on some music for us. The music was not exactly my style, but then again my “style” of music doesn’t lend itself very well to relaxation and meditation. I stopped short when I noticed that the singer sang the word “God”, as in “God leads us to the infinite.” I’m not exactly militant in my atheism, so I let it slide. But my teacher warned us that the music “uses the G. O. D. word”, and that she had received complaints in the past. She explained that the yogic god can be seen that way, but should be seen as “energy”, a concept that I was familiar with from classes past. I wanted to remember to ask her whether the man was an atheist or a christian. But I had forgotten, and at this point in time, I find the answer irrelevant. 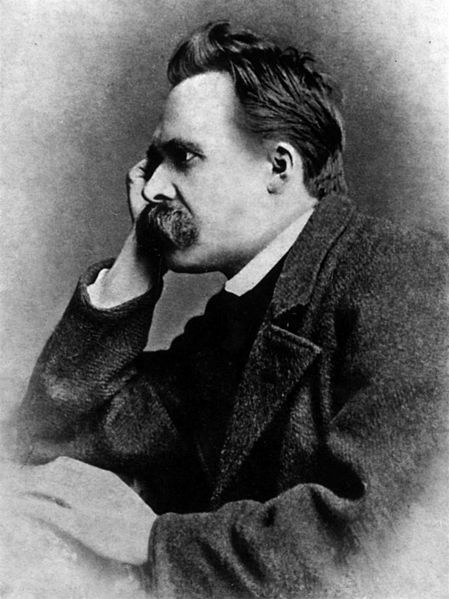 I practice yoga too and have been very influenced by Nietzsche also. I think that the main difference is that yogis think there is something essential in humans of spiritual origin, while Nietzsche thinks the only essential to humans is the “devenir” (I speak spanish and don’t no this word in english). The rest of human composition is a historical one. On the other side, yogis teach the this samsara (although this is a Buddhist concept, I use it to refer to the game this reality is) has no weigh and all preoccupations and problems come from the mind; and Nietzsche says there is no such thing as a reality, but the reality you make for yourself. Here I apply the teachings of both to change myself as much as I can (this is an issue of instincts in Nietzsches terms) and by this, change my reality.